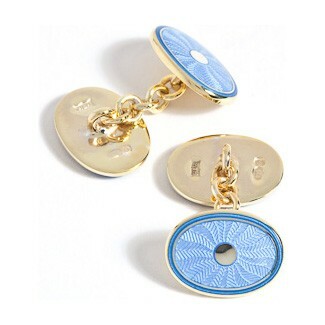 Sterling silver, plated with 18ct yellow gold double sided enamel cufflinks. New stock will be arriving mid November. Colour: Pale blue with a forget me not centre .